For most of us Asians, we know how much bamboo is important. When I visited Hong Kong, bamboo is still being used as support in the construction of these towering buildings and condominiums. In most rural places in the Philippines, bamboo is the staple part of constructing nipa huts, and even furniture for our homes. But recently, I discovered another use of bamboo. 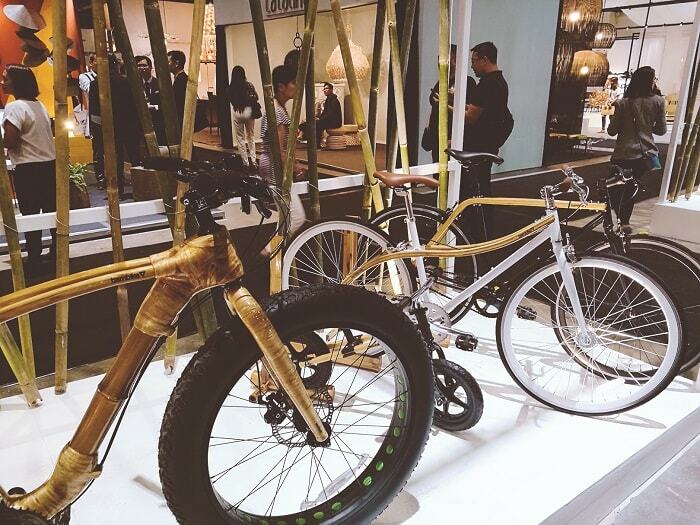 During the recent Manila FAME, I’ve visited the Bambike pop-up shop. 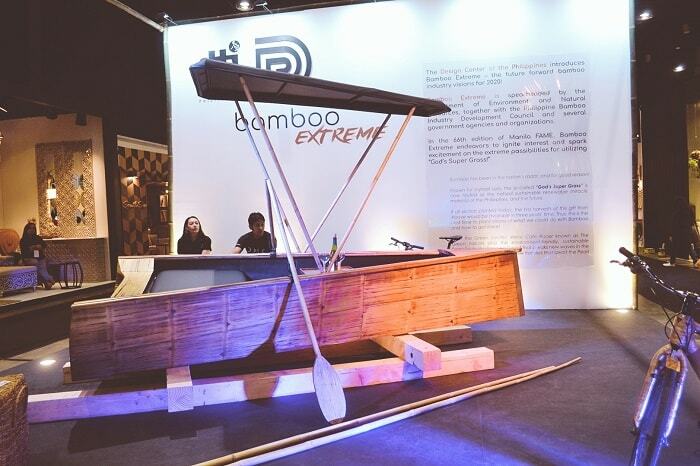 Bambike is a socio-ecological enterprise based in the Philippines that hand-makes bamboo bicycles with fair trade labor and sustainable building practices. Bryan Benitez McClelland, the innovator behind Bambike Revolution Cycles, ventured on this unique utilization of Bamoo after helping Gawad Kalinga (GK), a Philippine-based community development organization for the poor working to end poverty, kickstart a green building program. McClelland founded the Bamb EcoLogical Technology, Inc. for his socio-ecological projects which involved community members of a GK village in Victoria, Tarlac. 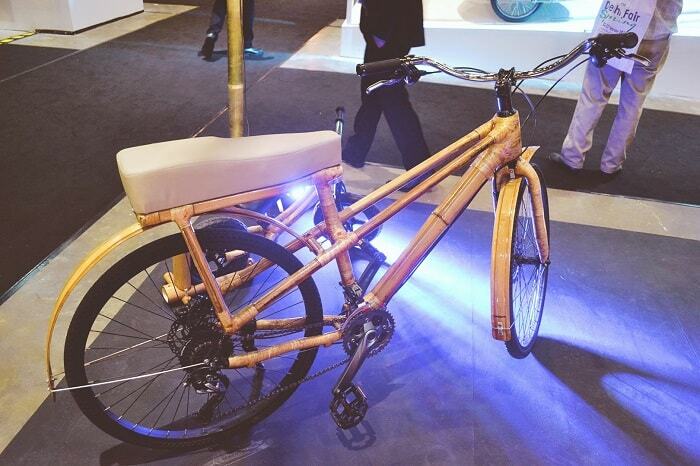 Many of them became the Bamboo bike builders aka Bambuilders of Bambike, which is the flagship product of the company. 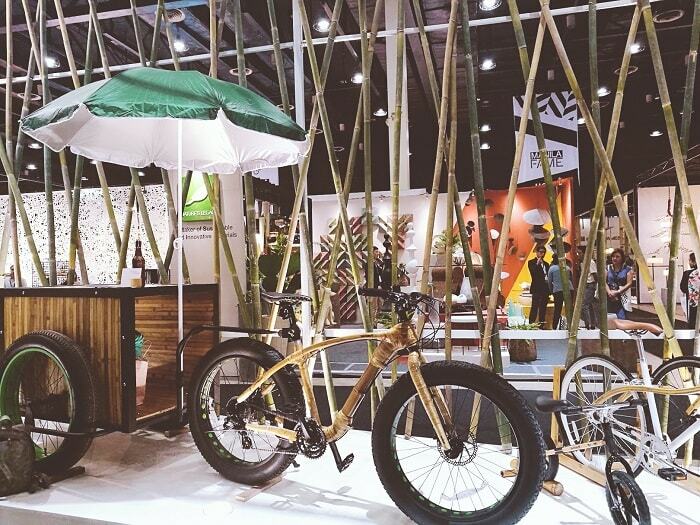 At the 66th Manila FAME, Bambike Revolution Cycles in partnership with the Design Center of the Philippines showcases the versatility of nature’s super grass as the mainframe of eco-friendly, built-to-last bicycles – in all-original Bambike design. Padyak, also known as tricycle or pedicab in the Philippines, is used as a means of public transportation mostly in small towns and provinces. 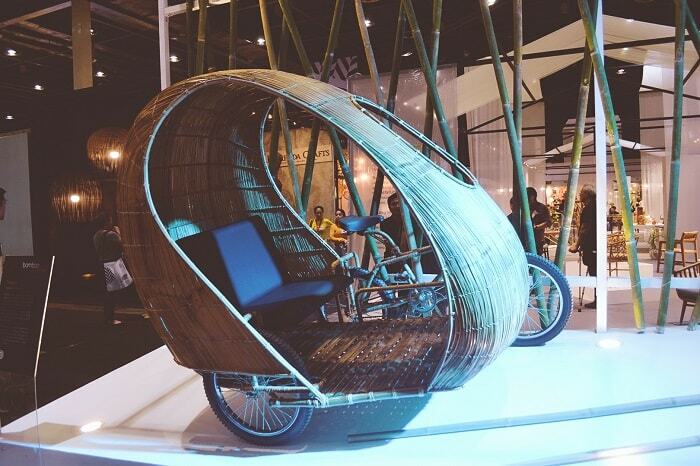 With bamboo as the main material for this modern eco Padyak, the design seeks to further promote and support Philippine tourism. Furthermore, it defines what local and native is – what Filipino truly is. 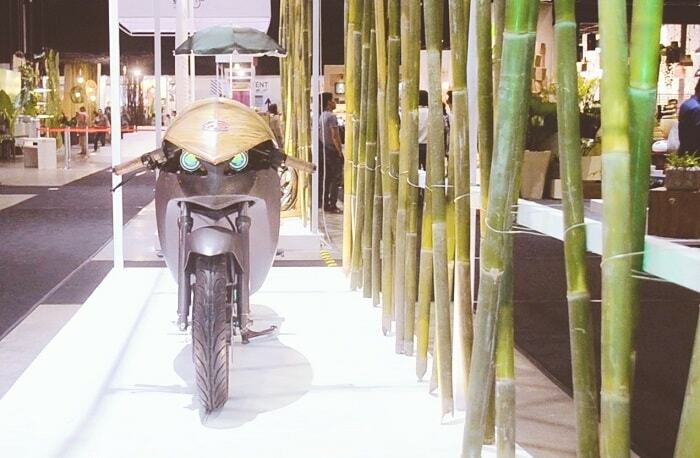 Designed by Christopher Lacson, the prototype was built with his Team Banatti, together with the skilful bamboo craftsmen, and generous graces of Milo Naval and his Evolve Factory. 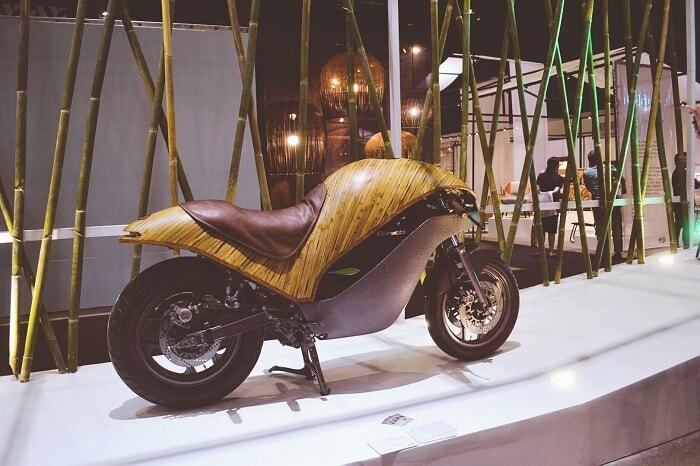 Inspired by the Café Racer motorcycle culture in the 1960s, the Green Falcon infuses a material never before utilized in motorcycles: Bamboo. Its wonderful properties apply perfectly to the body panel for a unique utilization that creates a new nature-rider interface. The Green Falcon was designed to create new markets, fuse cultures and spark industries. For the adventurous millennials niche, it could also be called the Millennial Falcon. This modern, green, electric Metro Café Racer is primarily for the “metro city market” – people who want design, performance, sustainability and care for the environment. 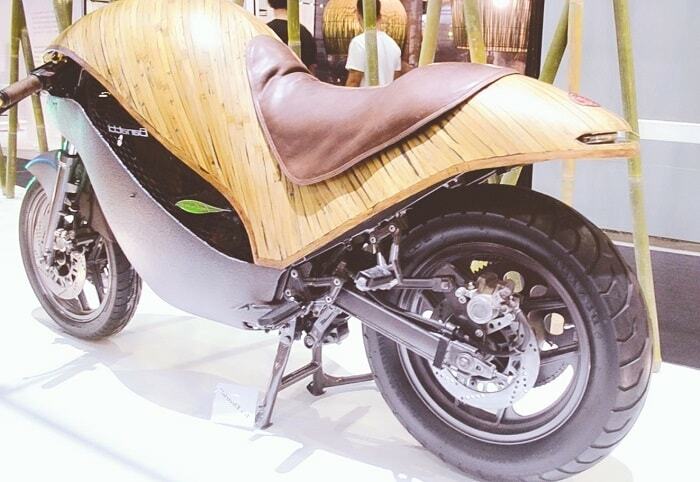 Ergonomic Bamboo Design – Natural materials are purposely placed where the rider comes into contact with the machine. Bamboo is also very strong and light. Electric-powered, zero pollution – The Green Falcon is nearly silent as it zips through the Metro like the speedy raptor it is named after. Geared for metro-Spec, it is like nature’s falcons known to cruise at level flight up to 70kph. Likewise, it is geared to fly as fast as the birds of prey, which have been clocked at level flight with speeds up to 110kph. With efficiency and purpose among the core ethics of Banatti & MEEP Inc., the engineering ethic is to create the best performance for the “Manila envelope” – no more, no less. Quick and powerful enough, the Green Falcon’s 3.3kW, 70Nm of torque lets the rider perform “wheelies” – in other words, lifting the front wheel clear of the ground from a standing start. The Pana ng Dagat, or Pana Boat endeavors to be the tip of a movement that breaks the mold and creates a new movement for our people to ply the waters that connect us, unify us, and make us wholly a country. 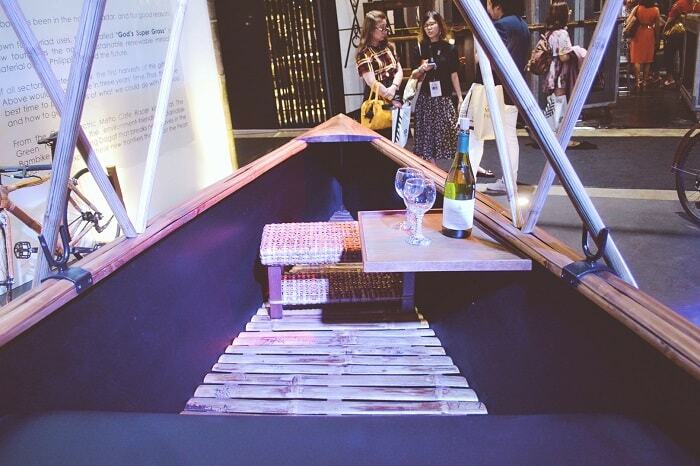 The bamboo lends an entirely different aesthetic and sensibility to watertecture. This particular craft was born for use in the still shallow waters of Prieto Diaz of Sorsogon, while Milo Naval (the designer) has built Siama Resort. Isn’t they are all stunning?! I like the bamboo padyak, because it’s very Filipino and awesome to drive around the city, to promote the local tourism industry. How about you, which one is your favorite?